Every business these days relies on a variety of IT assets for operations, including computers, laptops, servers, and mobile devices. These devices house sensitive data, which is why organizations have to secure them against both internal and external threats of breach. Companies not only have to protect data for the benefit of customers, but also to remain in compliance with applicable privacy laws and any additional industry regulations. When devices are in use, this is accomplished with protections like firewalls and encryption, among other things, but what do you do when your organization upgrades to new equipment? You know you can’t just toss e-waste – it’s bad for the planet and it puts you at risk of breach and identity theft, should devices be cracked and data accessed. What you need to do is destroy and/or recycle devices, in keeping with applicable privacy and environmental laws. How can this be done without putting your organization at risk? Here’s what you need to do to keep data safe, even during destruction. There are a couple of different ways to recycle hard drives and other devices when you upgrade to new equipment. Many companies want to try to recoup some cost by selling still-viable hardware, but you have to be careful. In order to comply with privacy standards, you must take pains to remove every last trace of data. This means undertaking a comprehensive wiping process that doesn’t delete data so much as overwrite it with a series of zeros. To ensure total data elimination, several passes are generally required. If you don’t have dedicated IT staff familiar with this process, or you have more device volume than your small IT department can reasonably manage, consider teaming with a qualified, professional ITAD service provider to wipe and refurbish devices for resale. If you’re the least bit worried about reselling devices, your best bet is to destroy them instead, prior to recycling. In other words, you need to shred hard drives. Of course, this isn’t something most companies can do on their own. Sure, the internet is rife with supposed methods of destroying hard drives, from dipping them in acid baths to pounding nails through them, but these are dangerous and there’s absolutely no guarantee they’ll work. What you need is a company that has the industrial shredding equipment and other resources to securely and definitively destroy any data remaining on devices before recycling applicable parts and legally disposing of the rest. 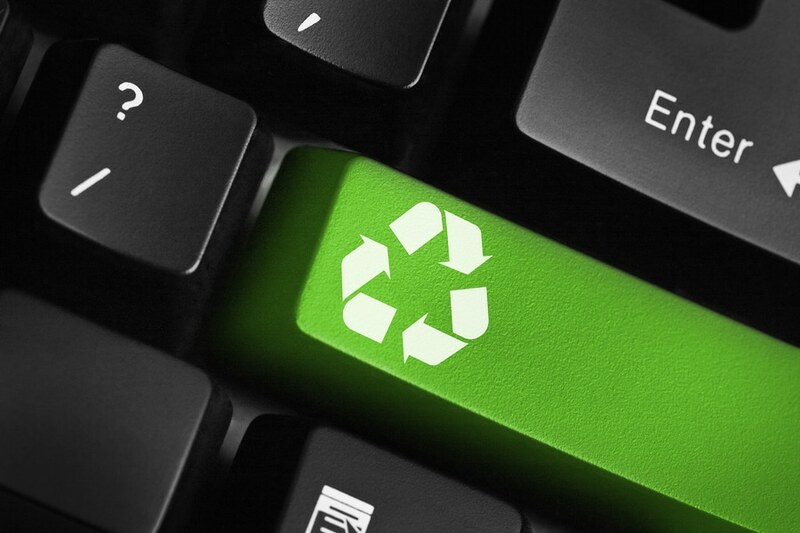 In order to minimize risks when recycling your IT assets, it’s wise to partner with a certified ITAD services provider that offers refurbishment for resale, secure destruction and disposal, and tracking and reporting, including access to a 24/7 client portal and proof of destruction. If secure recycling is a priority, working with a certified specialist that meets both environmental and data destruction standards is a must. Businesses in and around the Sioux Falls, SD area can contact SEAM at 605-274-SEAM (7326) today to learn more about the expert ITAD services provided.